"The dataset is just too big for any individual or small team to plough through - but we have already reached almost 60% completeness" said Dr Banfield. While the unusual, bent shape of WATs has proven an excellent beacon for the detection of galaxy clusters, it will always be difficult to be detected by algorithms - which is where citizen science can play a huge part. 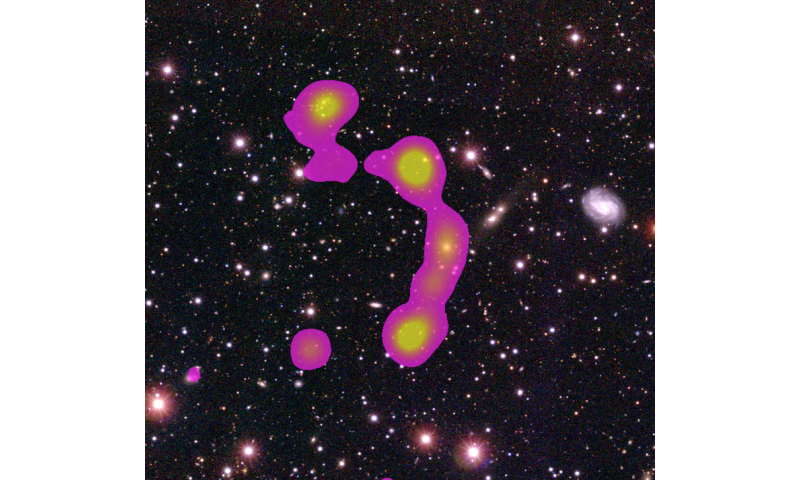 Through big projects such as Radio Galaxy Zoo, citizen science has established itself as a powerful research tool for astronomy, especially looking at the future challenges such as the EMU survey in Australia - the "Evolutionary Map of the Universe" with the Australian Square Kilometre Array Pathfinder (ASKAP) - and MeerKAT MIGHTEE in South Africa. The team of Radio Galaxy Zoo has entered their project in this year's Australian Museum Eureka Prizes whose winners are expected to be announced during National Science Week. I still do not understand how the universe has been mapped and people still keep finding new items. Is the mapping still underway and not finished? How have astronomers missed these newly found items? Even with machine learning you can't beat a pair of eyes with a human brain behind them for the edge cases.